Minimum cable bend radius: 1 in. 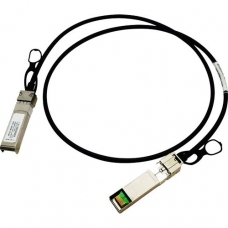 Juniper Compliant SFP+ Direct Attach Copper cables provide a low-cost 10 Gigabit Ethernet connection. These EX-SFP-10GE-DAC-1M cables are an alternative to using transceivers when connecting Juniper switches via a SFP+ ports.